Tamara Staples, President & Co-Founder, Fibromyalgia – ME/CFS Support Center, Inc.
I’d like to thank all those who have submitted objections to NCHS in opposition to the September 2013 C & M Committee meeting proposal to insert Somatic symptom disorder as an inclusion term in ICD-10-CM. Some additional organizations and individuals have advised me of their own submissions. If you have submitted a response on behalf of your organization or as a patient, advocate or professional and you would like your name or your organization’s name added to the list of responders below please shoot me an email or contact me via the Contact form with a link to your submission (if it has been placed in the public domain) and a couple of lines of credentials or stakeholder interest, if desired. Angela Kennedy, M.A. (also retired R.G.N. ), social science lecturer and researcher. Author of the book Authors of our own misfortune? : The problems with psychogenic explanations for physical illnesses (2012) Village Digital Press. Carer and parent of disabled woman who became ill at 12 years of age. Jack Carney, Ph.D., DSW, Brooklyn, NY, Committee to Boycott the DSM-5, contributor to Mad in America. A social worker, Dr Carney writes on the contradictions and hypocrisies of the public mental health system and promotes and applauds acts of resistance to it. Jennifer Brauer, BA, Women’s Studies, University of Massachusetts. Former certified paramedic, Emergency Medical Technician BLS, Bureau of The Emergency Medical Services, NY City Fire Dept. (1996-2005). The deadline for receipt of public submissions in response to proposals for updates and changes to ICD-10-CM diagnosis and procedure codes presented at the September 18-19, 2013 meeting of the ICD-9-CM Coordination and Maintenance Committee has now closed. In 2014, this advisory Committee, which is co-chaired by NCHS and CMS, will be known as the ICD-10-CM Coordination and Maintenance Committee, as there will be no further updates of ICD-9-CM. Proposals submitted on behalf of the American Psychiatric Association (APA) and presented at the meeting by APA’s Research Director, Darrel Regier, MD, can be found from Page 32 of the Diagnosis Agenda. Additional proposals for inclusion of new DSM-5 disorder terms within ICD-10-CM Chapter 5 Mental and behavioral disorders can be found on Pages 45-46. The Summary of the September meeting diagnosis presentations can be found here. Links for the four videocasts of the meeting’s two day proceedings are listed in this Dx Revision Watch post and the Meeting Materials are here. The Timeline for ICD-9-CM (for the remainder of its life) and for ICD-10-CM is set out from Page 3 of the Diagnosis Agenda. Some diagnosis proposals at the September 18-19, 2013 meeting were requested for October 2014 implementation and some for 2015 implementation. I shall update this site when the outcomes of the various proposals are published, next year. There is a lack of clarity over which body has requested the addition of Somatic symptom disorder (SSD) and Illness anxiety disorder as inclusion terms to existing ICD-10-CM codes. It isn’t clear whether these two additional DSM-5 constructs have been proposed for inclusion in ICD-10-CM by the APA or by the NCHS/CMS Committee – if the latter, should we assume these two proposals already have the support of NCHS? Given APA’s determination to achieve harmonization between the two systems, the outcome of its proposals to insert a handful of new DSM-5 disorders into ICD-10-CM may already be a done deal between APA and NCHS: the Director of NCHS may not need much persuasion to ratify their retrofitting into ICD-10-CM. If NCHS is planning to rubber stamp insertion into ICD-10-CM of DSM-5’s poorly validated Somatic symptom disorder in response to APA diktat, having conducted no field testing and in the absence of a body of supportive evidence for SSD’s clinical relevance, safety and utility, and with disregard for a high level of public concern, what confidence can the public have that this federal agency is meeting its duty of care towards patient populations and towards the clinicians and allied health professionals who may deploy this proposed new ICD term, in its ethics, integrity and methods and for upholding standards of scientific rigour? If APA is unsuccessful with any of the additions requested via the September meeting, it is possible that the organization may re-present proposals or modified proposals at the next C & M Committee meeting, scheduled for March 19-20, 2014. There are also other new DSM-5 disorders or changes that APA might potentially propose for incorporation into ICD-10-CM at the March 2014 or the September 2014 meeting, or at some later point. The deadline for Requestors to submit proposals for consideration for the March meeting agenda is January 17, 2014. The draft agenda will be posted in February 2014. Registration is required for those wishing to attend the meeting. Register online between on February 14 – March 14. The two day meeting is scheduled for March 19 – 20. Note: the deadline for receipt of comments on the March 19-20, 2014 meeting proposals for both procedure and diagnosis codes and changes is given as April 18. So instead of a couple of months for stakeholder responses, it appears there will only be four weeks or so in which to prepare and submit comments or objections. April 2014 Notice of Proposed Rulemaking to be published in the Federal Register as mandated by Public Law 99-509. This notice will include references to the complete and finalized FY 2015 ICD-10-CM diagnosis and ICD-10-PCS procedure codes. It will also include proposed revisions to the MS-DRG system based on ICD-10-CM/PCS codes on which the public may comment. The proposed rule can be accessed here. Which new DSM-5 disorders proposed for inserting into ICD-10-CM are already added to the ICD-11 Beta draft? Since my update on January 3, in the ICD-11 Beta draft, Hypochondriasis (illness anxiety disorder) has since been reverted to Hypochondriasis with illness anxiety disorder listed, instead, as an Inclusion term to Hypochondriasis. The Definition for Hypochondriasis currently displaying in the Beta draft appears to be the legacy Definition, unrevised from ICD-10. ICD-11 public version Beta draft: Illness anxiety disorder is proposed to be dual coded as Hypochondriasis (illness anxiety disorder) under primary parent, Obsessive-compulsive and related disorders and also coded under Bodily distress disorders, and psychological and behavioural factors associated with disorders or diseases classified elsewhere and assigned a unique code. As the ICD-11 Beta drafting platform now stands, at January 3, 2014, the DSM-5 term “(illness anxiety disorder)” has been removed from the “Hypochondriasis (illness anxiety disorder)” disorder name and the term reverted to Hypochondriasis. The term “illness anxiety disorder” is now displaying as listed under “Synonyms” to Hypochondriasis in the ICD-11 Beta Foundation View, and listed under “All Index Terms” in the Morbidity Linearization View. In the previous four posts, I have documented the September 18-19, 2013 meeting of the ICD-9-CM Coordination and Maintenance Committee and reported on American Psychiatric Association (APA) proposals for inserting a number of new DSM-5 terms into the forthcoming US specific ICD-10-CM. I also set out how public and professional stakeholders can submit comment or objections on any of the proposals requested at this meeting before the November 15 deadline. At the September meeting, Darrel Regier, MD, APA Director of Research, presented six diagnoses that are new to DSM-5 for inclusion within ICD-10-CM, with proposals for assigning unique new codes to these disorders for October 2015 . Proposal for ICD-10-CM for October 1, 2014: add Binge eating disorder (BED) as an inclusion term to F50.8 Other eating disorders. Proposal for ICD-10-CM for October 1, 2015: that a unique new code is created for F50.81 Binge eating disorder. ICD-11 public version Beta draft: Binge eating disorder currently proposed to be coded under Feeding and eating disorders and assigned a unique ICD-11 code. No ICD-11 Definition or other “Content Model” descriptive parameters have yet been populated for Binge eating disorder. 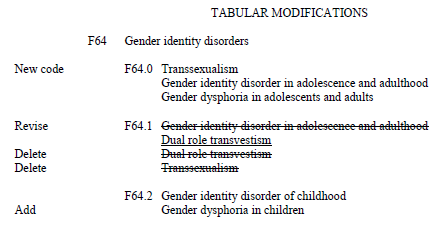 Proposal for ICD-10-CM for October 1, 2014: that ICD-10-CM change the code for Gender identity disorder in adolescents and adulthood to F64.0 and that “gender dysphoria in adolescents and adults” is added as an inclusion term for this entry. Proposal for ICD-10-CM for October 1, 2014: add Disruptive mood dysregulation disorder (DMDD) as an inclusion term under F34.8: Other persistent mood [affective] disorders. Proposal for ICD-10-CM for October 1, 2015: that unique new codes are created at F34.81 Disruptive mood dysregulation disorder and F34.89 Other specified persistent mood disorders. ICD-11 public version Beta draft: Disruptive mood dysregulation disorder (DMDD) is not currently listed. Proposal for ICD-10-CM for October 1, 2014: add Social (Pragmatic) Communication Disorder as an inclusion term under F80.89 Other developmental disorders of speech and language. Proposal for ICD-10-CM for October 1, 2015: that a unique new code is created at F80.82 Social pragmatic communication disorder. ICD-11 public version Beta draft: Social (Pragmatic) Communication Disorder is not currently listed. Proposal for ICD-10-CM for October 1, 2014: add Hoarding disorder as an inclusion term to F42 Obsessive Compulsive Disorder. ICD-11 public version Beta draft: Hoarding disorder currently proposed to be coded under parent Obsessive-compulsive and related disorders and assigned a unique code. No ICD-11 Definition or other “Content Model” descriptive parameters have yet been populated for Hoarding disorder. Proposal for ICD-10-CM for October 1, 2014: add Excoriation (skin-picking) disorder as an inclusion term to L98.1 Factitial dermatitis (Dermatology section). Proposal for ICD-10-CM for October 1, 2015: that a unique new code is created at F42 for F42.4 Excoriation (skin-picking) disorder. ICD-11 public version Beta draft: Excoriation disorder (skin-picking disorder) currently proposed to be coded under Obsessive-compulsive and related disorders under parent Body-focused repetitive behaviour disorders and assigned a unique code. No ICD-11 Definition or other “Content Model” descriptive parameters have yet been populated for Excoriation (skin-picking) disorder. APA considers that placing PMDD outside the recurrent depressive disorder category is less than optimal for differentiating it from ICD-10-CM N94.3 Premenstrual Tension Syndrome, which is generally less severe than PMDD, and does not require psychiatric treatment. If an alternative code in the F32 series is possible, APA would prefer to modify the code in that section in future revisions. Proposal for ICD-10-CM for October 1, 2014: add Premenstrual dysphoric disorder as an inclusion term to N94.3 Premenstrual tension syndrome (Chapter 15 Diseases of the genitourinary system). Proposal for ICD-10-CM for October 1, 2015: that a unique new code is created under Chapter 5 F32.8 Other depressive episodes. ICD-11 public version Beta draft: Premenstrual dysphoric disorder (PMDD) currently proposed to be dual coded under Chapter 15 Diseases of the genitourinary system > Premenstrual tension syndrome and also coded under Chapter 5 Depressive disorders and assigned a unique code. A draft ICD-11 Definition has been populated for PMDD but no other ICD-11 “Content Model” descriptive parameters have been populated. Proposal for ICD-10-CM: add Somatic symptom disorder under F45 Somatoform Disorders as inclusion term to F45.1 Undifferentiated somatoform disorder. ICD-11 public version Beta draft: There is no Somatic symptom disorder in the ICD-11 Beta draft either as a unique new ICD-11 entity code or as an inclusion term or Synonym to an existing ICD-11 code. For ICD-11 Core version: the current proposal for the F45 Somatoform disorders is for a proposed new construct, Bodily distress disorder, to replace a number of existing ICD-10 categories under Bodily distress disorders, and psychological and behavioural factors associated with disorders or diseases classified elsewhere. Two specifiers: Bodily distress disorder and Severe Bodily distress disorder have yet to be defined or characterized within the Beta draft and no “Content Model” parameters have yet been populated. 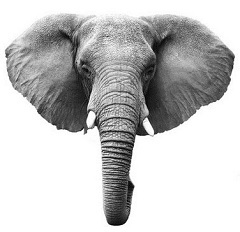 ICD-11 plans to field test this proposed new ICD-11 construct. The Definition for Bodily distress disorders, and psychological and behavioural factors associated with disorders or diseases classified elsewhere currently displaying in the Beta draft appears to be the legacy Somatoform disorders Definition imported from ICD-10 and does not reflect any proposed structural reorganization or construct revision for the ICD Somatoform disorders categories. Proposal for ICD-10-CM: add Illness anxiety disorder under F45 Somatoform disorders as inclusion term to F45.21 Hypochondriasis. The Definition for Hypochondriasis (illness anxiety disorder) currently displaying in the Beta draft appears to be the legacy Definition imported from ICD-10 and does not reflect any proposed structural reorganization or construct revision for the ICD Somatoform disorders categories. Update: My submission on behalf of Dx Revision Watch can be read here. Additionally, APA has petitioned for revisions to the ICD-10-CM listing for gender dysphoria in adolescents and adults, which is not a new disorder. On Page 45 and 46 of the Agenda, under Additional Tabular List Inclusion Terms for ICD-10-CM a number of other additions and changes to specific Chapter 5 F codes are being proposed, including the insertion of Somatic symptom disorder (SSD) and Illness anxiety disorder. Q: When do objections need to be in by and where should they be sent? Q: Can anyone submit objections? A: Yes. And from as many patient, professional and advocacy groups as possible, particularly from the U.S. but also international objections. Although this concerns potential changes to the draft of the U.S. specific ICD-10-CM there may be implications for ICD-11. Q: What is being proposed? A: The American Psychiatric Association has requested 6 new DSM-5 disorders for consideration for inclusion in the forthcoming ICD-10-CM via the September 18-19, 2013 ICD-9-CM Coordination and Maintenance Committee meeting. APA’s rationales for these requested additions, the coding proposals and timings are set out on Pages 32 thru 44 of the September meeting Diagnosis Agenda. But on Pages 45-46, under “Additional Tabular List Inclusion Terms for ICD-10-CM”, a further 17 proposals and changes are listed for consideration for addition to the Mental and behavioral disorders F codes. Q: Is “Somatic symptom disorder” being proposed to replace several existing ICD-10-CM Somatoform disorders categories and is a unique new code proposed to be assigned to SSD? A: No, not in the proposal as it stands in the Diagnosis Agenda document. The proposal is to add SSD as an inclusion term under F45.1 Undifferentiated somatoform disorder. This is the ICD-10-CM code to which SSD is cross-walked in the DSM-5. Illness anxiety disorder is being proposed as an inclusion term under F45.21 Hypochondriasis. This is the ICD-10-CM code to which Illness anxiety disorder is cross-walked in the DSM-5. Q: What should I include in my objection? A: Responders are being asked by NCHS/CMS to consider the following: Whether you agree with a proposal, disagree (and why), or have an alternative proposal to suggest. Responders are also being asked to comment on the timing of those proposals that are being requested for approval for October 2014: Does a specific proposal for a new or changed Index entry and Tabular List entry meet the criteria for consideration for implementation during a partial code freeze  or should consideration for approval be deferred to October 2015? • Since no timing has been specified for the proposed insertion of the requests on Pages 45-46, I suggest stating that as a poorly validated disorder construct, SSD does not meet NCHS/CMS criteria for “new diseases/new technology procedures, and any minor revisions to correct reported errors in these classifications” and should not be considered for approval during a partial code freeze. On Day Two of the meeting, APA’s Darrel Regier presented 7 proposals for additions or changes, discussed APA’s rationales for each of these requests, in turn, and fielded any resulting questions or comments from the floor or from the meeting chairpersons. Rationales, references, specific coding proposals for addition as inclusion terms in October 2014 (and subsequent code modifications in those cases where a unique new ICD code is proposed to be created for the term effective from October 2015) are also set out in the Agenda document (from Page 32). But there was no presentation on behalf of APA, or by representatives of NCHS or CMS, or by anyone else for the specific proposal to add Somatic symptom disorder (SSD) and Illness anxiety disorder as inclusion terms under the ICD-10-CM Somatoform disorders. No rationales for their inclusion or references to scientific evidence to support the validity of these new DSM-5 constructs have been published in the Diagnosis Agenda and there was no discussion of these two proposals during the course of the meeting. The requesters of the proposals set out on Pages 45-46 are not identified, so it is unclear whether these “Additional Tabular List Inclusion Terms” are being proposed by APA or by NCHS/CMS. • I suggest you comment in submissions on the absence from both the Agenda document and the meeting presentations of rationales and references to enable proper public scrutiny, consideration and informed responses to the proposed inclusion of these two terms. • You might also consider quoting the APA’s disturbing DSM-5 field trial data (see March 2013 BMJ commentary by Prof Allen Frances for data). • There is no body of published research on the epidemiology, clinical characteristics or treatment of the APA’s Somatic symptom disorder construct. • There is a paucity of rigorous evidence for the validity, safety, reliability, acceptability and utility of the SSD construct when applied to adults and children in diverse clinical settings and across a spectrum of health and allied professionals. • NCHS/CMS has insufficient scientific basis for the approval of SSD as a valid new disorder construct for inclusion within ICD; has published no independent field trial data and provided no rationale to inform public responses. Why is it important to submit objections? If SSD is inserted as an inclusion term to an existing code in ICD-10-CM this may leverage the future replacement of several existing ICD-10-CM Somatoform disorders categories with the SSD construct, to more closely mirror DSM-5. Inserting SSD as an inclusion term into ICD-10-CM may make it easier for ICD-11 to justify its proposal for a Bodily distress disorder to replace several existing ICD-10 Somatoform disorders categories. Though BDD may not mirror SSD exactly, it is anticipated to incorporate SSD’s characteristics and thereby facilitate harmonization between ICD-11 and DSM-5 disorder terminology. As set out many times during the three DSM-5 stakeholder reviews and in several papers published earlier this year with Prof Allen Frances, DSM-5 SSD has highly subjective and loose, easily met criteria. A mental health diagnosis of SSD can be applied as a “bolt-on” to any chronic medical diagnosis – to patients with cancer, diabetes, heart disease, MS, angina, ME and CFS, IBS, FM, chronic pain conditions. It can be applied to adults and children (or to the caregivers of children with chronic illnesses). SSD may become the dustbin diagnosis into which those with persistent, “medically unexplained” somatic (bodily) symptoms will be shovelled. Patients with rare or hard to diagnose illnesses may find themselves mislabelled with SSD. Implications for the potential impact on patients for an additional diagnosis of SSD are set out (about half way down the page) in my report Somatic Symptom Disorder could capture millions more under mental health diagnosis and in copies of submissions to the three DSM-5 stakeholder review periods, collated on this site. Also in Mary Dimmock’s 2012 SSD Call to Action materials. There is a now a copy of the 20 March, 2013 BMJ commentary “The new somatic symptom disorder in DSM-5 risks mislabeling many people as mentally ill” by Prof Allen Frances (with Suzy Chapman) on the NAPPS Skills (Northern Association for Persistent Physical Symptoms) site (Vincent Deary’s group) in this PDF. If you’ve not already done so, please get an objection in before November 15. And please alert all contacts, advocates, patient groups and professionals to the November 15 deadline and the need for input and objections. 7. Somatic Symptom Disorder: An important change in DSM. Dimsdale JE, Creed F, Escobar J, Sharpe M, Wulsin L, Barsky A, Lee S, Irwin MR, Levenson J. J Psychosom Res. 2013 Sep;75(3):223-8. Epub 2013 Jul 25. This report relates to proposals submitted via the September ICD-9-CM/PCS Coordination and Maintenance Committee meeting for the inclusion of additional codes to the forthcoming US specific ICD-10-CM. The twice yearly ICD-9-CM Coordination and Maintenance Committee meetings provide a public forum to discuss proposed code changes to ICD-9-CM and the ICD-10-CM/PCS. Next year, the committee, which is co-chaired by CMS and CDC, will be renamed to the ICD-10-CM Coordination and Maintenance Committee. ICD-10-CM/PCS is scheduled for implementation in October 2014 and currently subject to partial code freeze. The meeting scheduled on September 18, 2013 was devoted to both diagnosis and procedure code topics. The second day of the meeting, September 19, continued discussions related to diagnosis code topics. Below are links for key meeting materials, four videocasts, and agenda item listings for the diagnosis proposals presented on Day Two (videocast Part 4). This includes the presentation of proposals by American Psychiatric Association (APA) Director of Research, Darrel Regier, MD, for insertion of new DSM-5 diagnoses into the ICD-10-CM. Comment from floor: Robert Adams reads out written statement. 13:56 mins in: DSM-5 and ICD-10-CM Discussions on mental health conditions and harmonization with ICD-10-CM. Preamble about DSM and DSM-5. No questions or comments from the floor or by phone link. Some questions raised by DP on behalf of other and comment from the floor. Question raised by DP regarding PMDD and Excludes. Dr Regier concludes his presentation and hands podium back to Donna Pickett (CDC). See screenshots at end of Post #276 for Diagnosis Agenda Pages 45-46. No questions or comments from the floor or by phone link on any of the proposed inclusion terms listed on Pages 45 and 46 under “Additional Tabular List Inclusion Terms for ICD-10-CM”. Donna Picket moves on to next set of proposals and turns podium over to Beth Fisher (CDC). Comment from floor at 1hr:32 mins: Luana Ciccarelli from the American Academy of Neurology. Comment from Sue Bowman read out by Beth Fisher. Presenter Lizabeth (Beth) Fisher (CDC) on behalf of requestor: The American Congress of Obstetricians and Gynecologists (ACOG). This concluded the diagnosis portion of the presentations. Note that Agenda items from Page 53 onwards were tabled for presentation and discussion in earlier in the meeting proceedings. 1hr:40 mins in: Donna Pickett (CDC) brings meeting to a close. The deadline for receipt of public and professional stakeholder comment on any of the proposed ICD-10-CM/PCS code revisions discussed at the September 18-19, 2013 ICD-9-CM Coordination and Maintenance Committee meeting is November 15.